We recently bought a Kawai digital piano, so I immediately started playing around with the midi features the piano has. 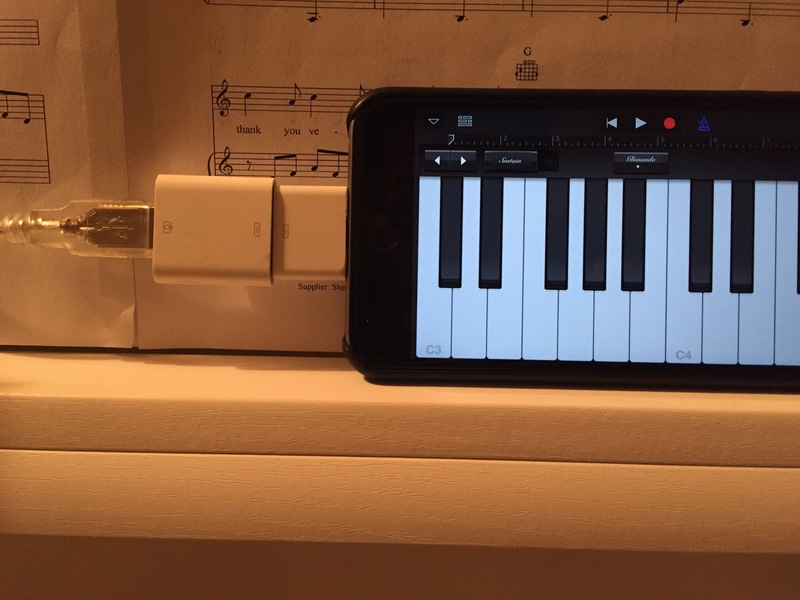 I was pleased to discover it works right out of the box with GarageBand and a MacBook connected via a simple USB cable. However, I wanted to be able to do the same on my iPhone 6s Plus, since I prefer GarageBand on the iPhone for quick recordings. 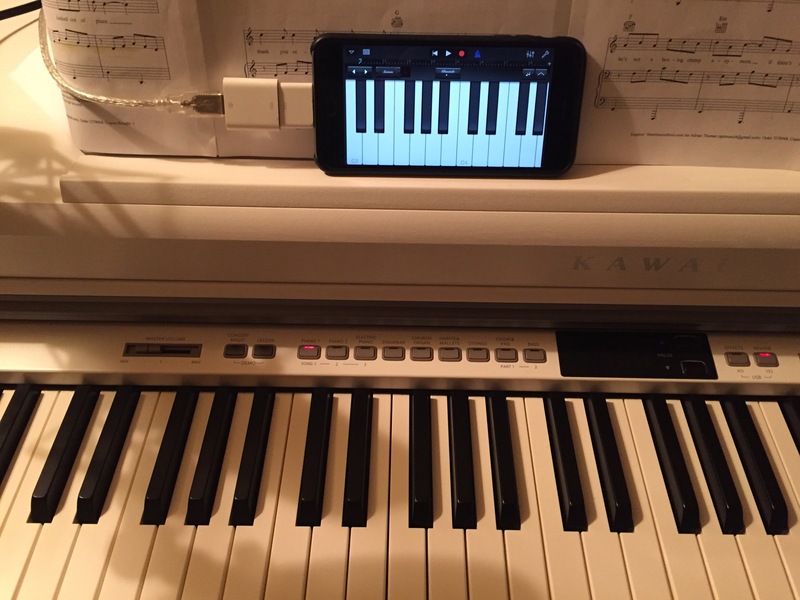 But it works well and makes recording piano super simple. Note that it’s a midi connection, so you can also go in and fix mistakes (ahem). You can still find the old 30-Pin Camera Connection Kit on Amazon.com. The newer Lightning to USB camera adapter should also work, but I haven’t tried it yet.